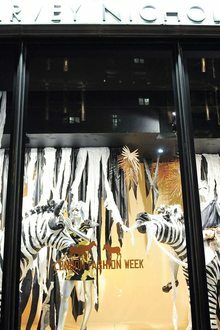 261 published items with the word (s) or phrase Harvey Nichols in News, Trends, Videos, Photo galleries, Agenda and sorted by "date descending". The International Woolmark Prize is returning to London for the global final, and will announce the 2019 winner at Lindley Hall during London Fashion Week this Saturday. The NYC-based accessories brand best known for its statement headwear has announced the official online launch of its diffusion line, Genie by Eugenia Kim. James William Stares of JWS Business Recovery was appointed administrator of the company on 2 January after the brand struggled to survive the challenging retail climate. Launched in 2015 by designer-entrepreneur Jon Koon and street artist Harif Guzman, New York-based luxury streetwear brand Haculla is expanding in Europe with a show in Florence that mixed bold graphics with rock.